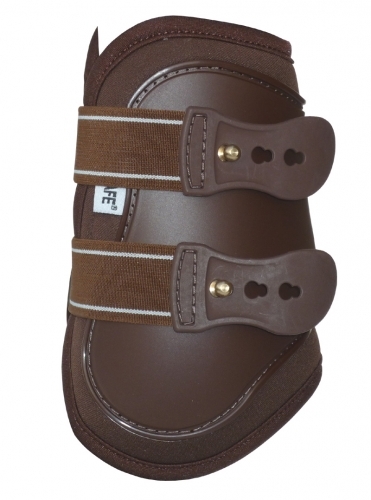 This fetlock-boot is made ​​of high quality, flexible and shatter-resistant, anatomically shaped Polyurethane outer shell. It is equipped with an 8 mm Neoprene lining and is fitted in addition to the Edge completely stitched. 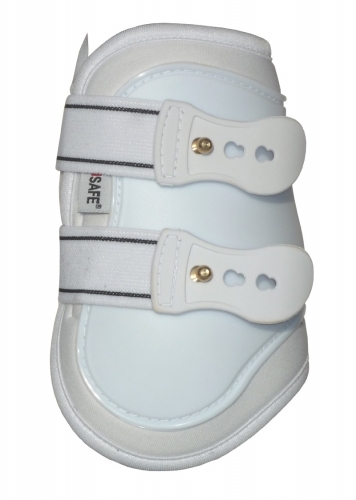 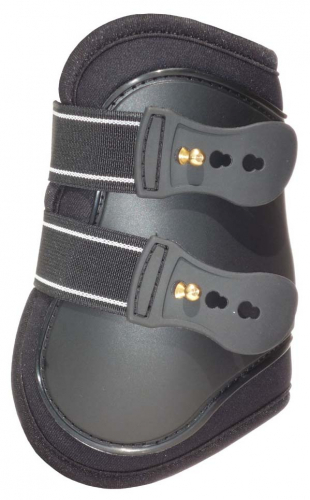 The fetlock boot is equipped with a two spike-closure system and a frontal protection from neoprene, which can be fixed with a Velcro in side. 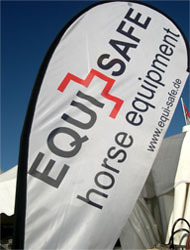 Washable at 30 °C.